"Witching" you a great Halloween! Did you know that there's only 60 more days until Halloween?! bringing home way too much candy! 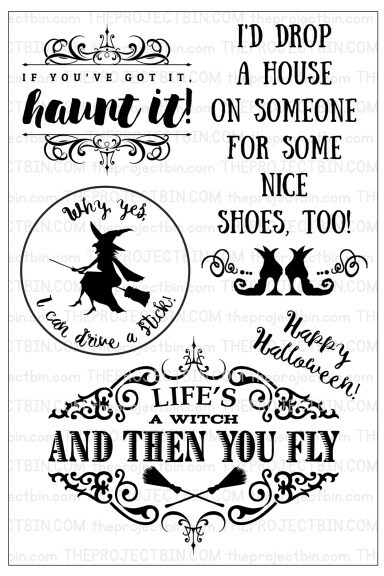 from the new "Haunt it" stamp set. and added it to a burst of color papers I just got in from Echo Park. 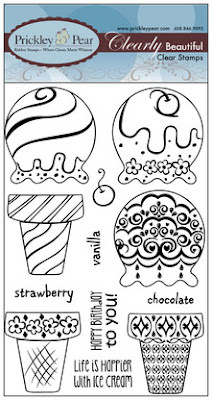 but these stamps are just marvelous with colored inks and embossing as well. made a banner and added some simple enamel dots. Hurry, the free shipping date is nearly over! Today is the day that the 3 Musketeers post our cards with the same image. we'll be almost at our road trip destination! we will be arriving in a car! I was the hostess this round and just thought this image would be a hoot! and it has never seen ink! 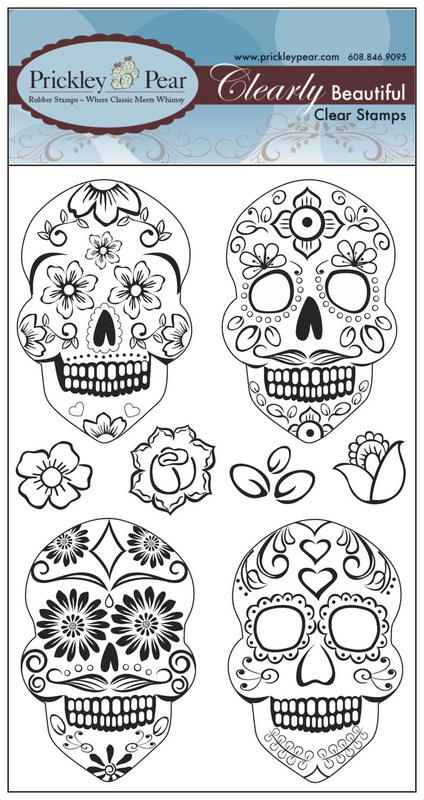 I wish I'd inked it up years ago! 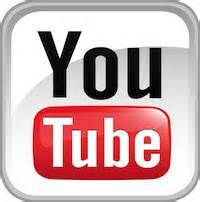 So here is my getting couple! 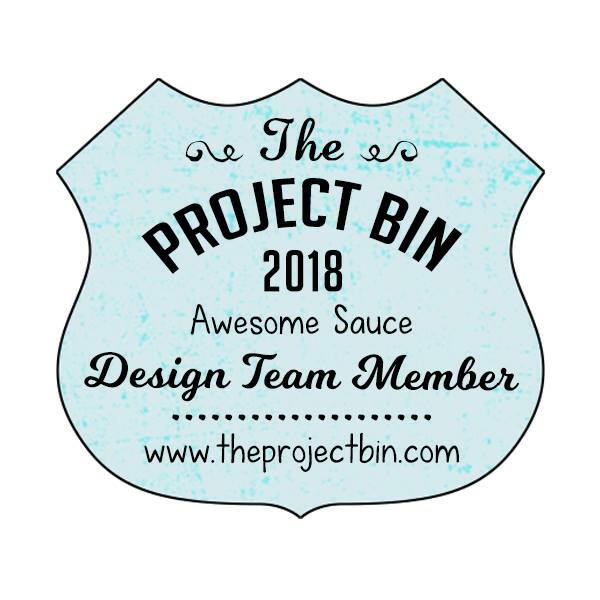 have created with the image I sent them, too! getting in some last minute fun before school starts again. and school will be here in a couple of weeks. the stamps from The Project Bin Stamps are unbelievable! 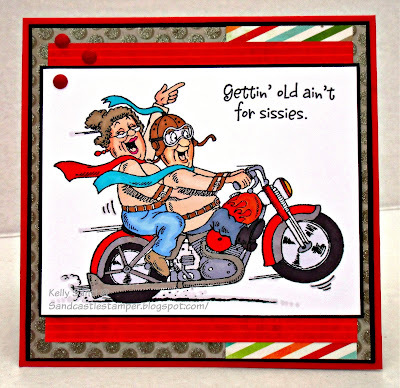 making your stamping sentiments a super time with creativity! as well as bright colors to give your cards a pop! New Stamp Release continues - Prickley Pear Rubber Stamps! 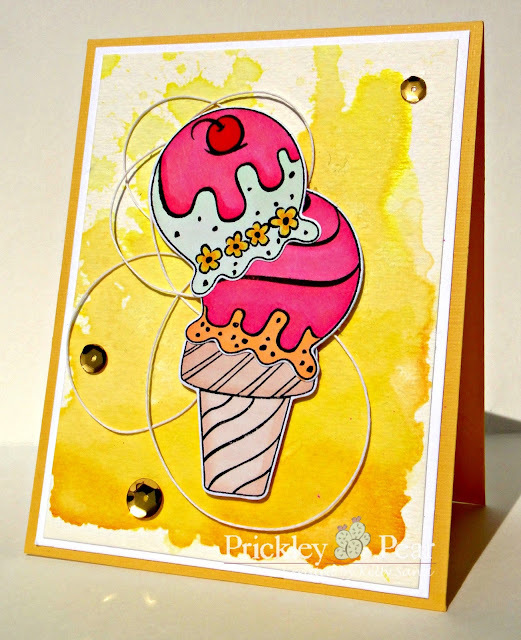 Ice Cream stamp set and coordinating dies! You can find more inspiration on the PPRS blog. so keep watching for all the wonderful surprises ahead! 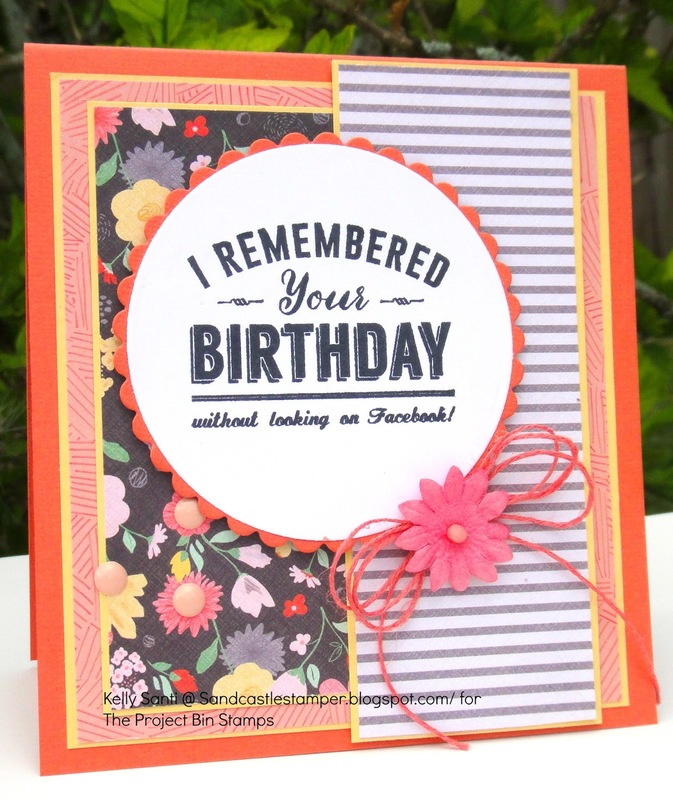 from Monday until Friday, you'll be treated to all the new stamps and sentiments. First up, introducing Tucker the pup! He is absolutely darling. I fell instantly in love with Tucker! 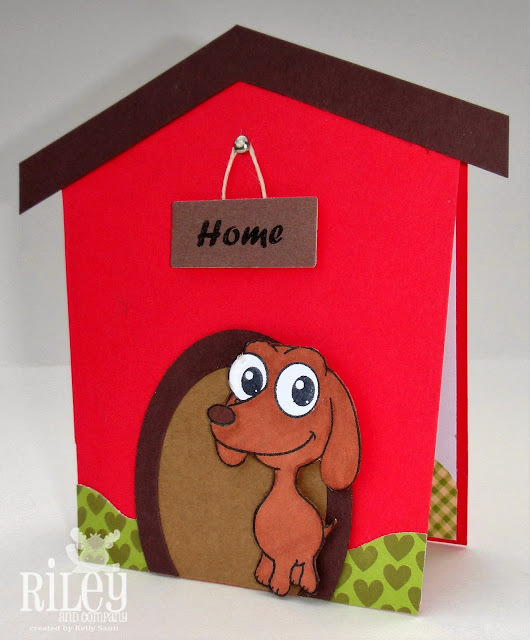 I created a dog house with cardstock, colored and fussy cut Tucker and 3d foam popped him up onto the front of the card. This was super fun to make! Felix the cat! Felix is as quite mischievous! 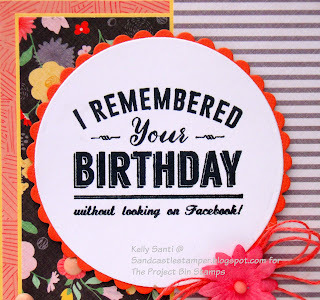 I'll be back in a bit with more fun posts showing you even more stamp, dies, and inspiration! 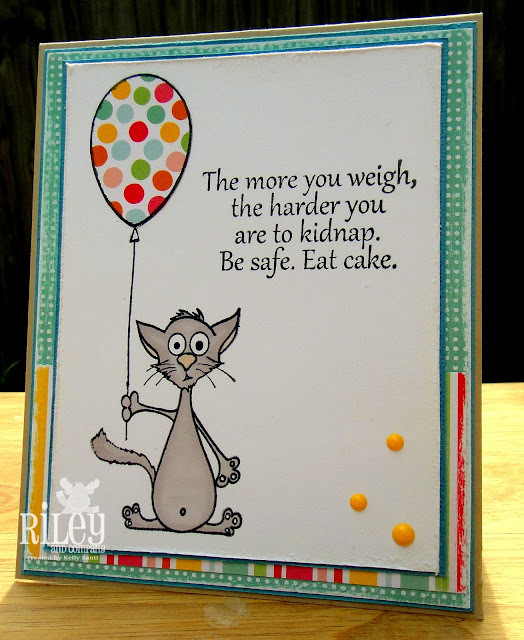 New Stamp Release Day ~ Riley and Company Stamps! from TWO different stamp companies! It's new stamp release day at Riley and Company Stamps! added to this sunburst of blues and greens. I added a bit of twine behind the image and some green sequins to for a little pop. Here's some even more wonderful news! $25 gets free shipping if you put the code FREESHIP in during checkout. 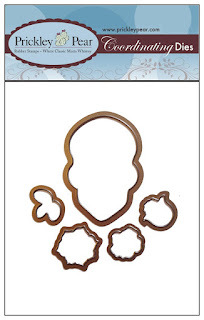 Buy the entire set of Funny Bones (unmounted) for only $60 - save $30. 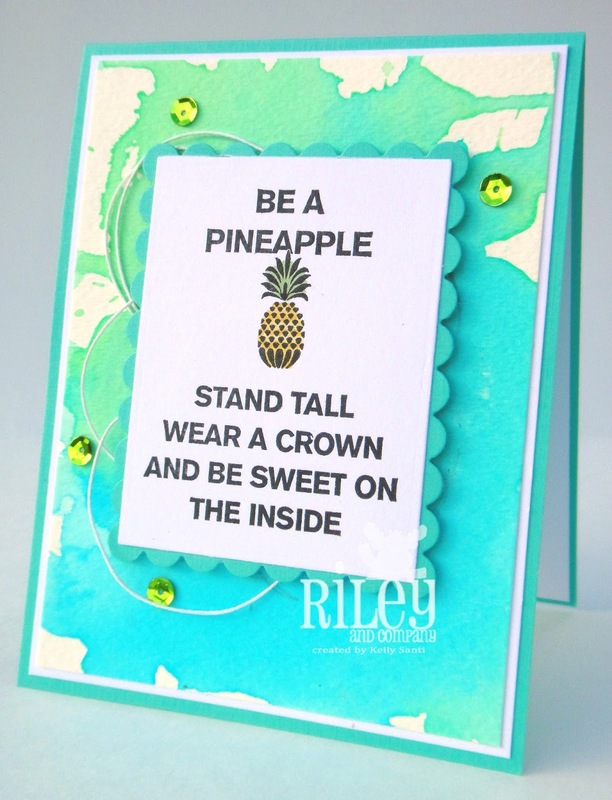 (formerly known as the Riley and Co. Blog) for great inspiration! 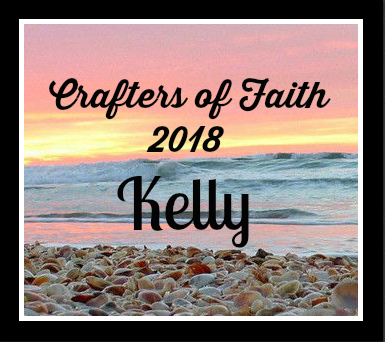 This is a great comprehensive blog for the homes of Riley & Company, Funny Bones, Inspirations, Cornish Heritage Farms, Thomas Kinkade and the new Prickly Pear Rubber Stamps! even some GREAT deals when there is a sale! See you one post over for some more fun! New stamp release day - Prickley Pear Stamps! 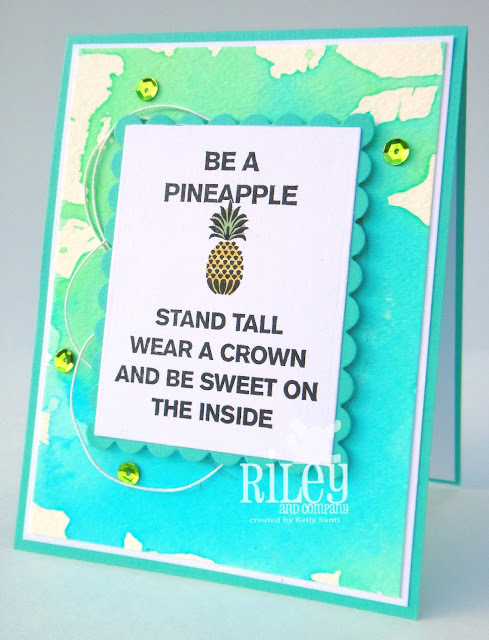 *please scroll up to see my Riley and Company card! for 2 different stamp companies, 2 new stamp releases! The happy news is you can find them both in one place! not only your old favorite stamps but amazing new stamps, too! 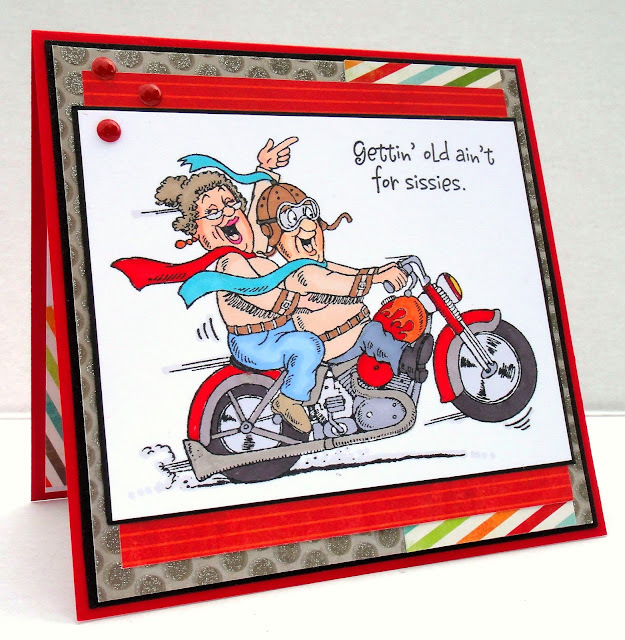 cards to showcase the new stamps and matching dies! 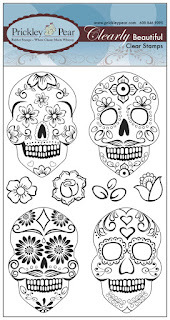 versatile Day of the Dead sugar skulls stamp set! 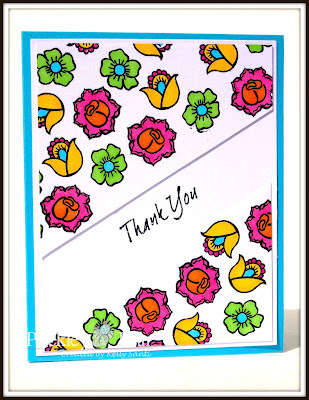 by using just the flowers to stamp out a background set! 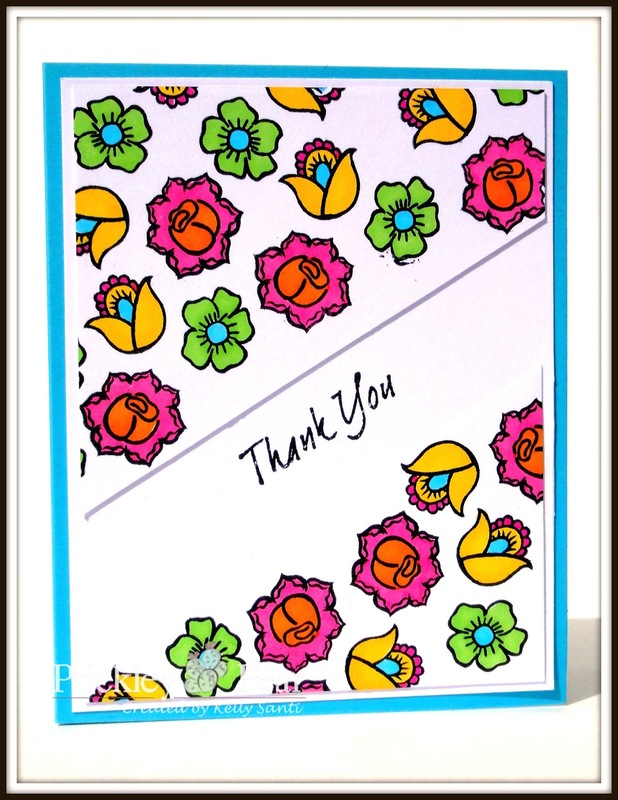 The Thank you is a sentiment from Prickley Pear's leaf stamp set. If you spend $25 or more, you get free shipping with the code FREESHIP!